Below are a few animal-related websites that may interest you. Please note that while we strive to provide only educational, kid-friendly links, we cannot be held responsible for the content of the websites listed on this page. If you have a website that is kid-friendly, educational, and animal-related, and you would like to exchange links, send a link exchange request to links@animalfactguide.com. Learn about birds at All-Birds. Identification tips, photographs, songs and calls and more. Animal A Day is a blog that looks for animals of all shapes and sizes from all around the world, and posts about a new one each day! Animal Corner is an animal encyclopedia featuring pets, wildlife, insects, Marine life, farm animals, Galapagos wildlife, Rainforest animals, venomous creatures and Reptiles. ARKive is the ultimate multimedia guide to the world’s endangered species. Whether you are a teacher or a student, explore and search for videos, photos and facts about the world’s endangered animals. ARKive hosts a collection of fun and educational interactive games and puzzles as well as learning resources that can be used in a range of subjects. A place to look at cute pictures and learn something while you’re at it! A directory of animal and pet sites. Dedicated to showing you the latest clips of crazy animal antics. Here you can find cats walking dogs, sharks trying to get inside cages, tightrope-walking raccoons, and many more wild videos. Dinosaur Den is an extensive site about life before and after dinosaurs. Discover the different timelines and how the dinosaurs eventually became wiped out, as well as detailed information about dinosaurs themselves from the Triassic, Jurassic and Cretaceous periods. There are also Dinosaur Den Special Features. A central place to find eco-friendly or conservation-themed gifts. Gifts range from adopting an animal at a zoo to planting a tree. These unusual gifts are not only delightful, but also make significant strides in preserving our beautiful environment. A collection of good education websites from across the curriculum for all ages, organized by subject. Homeschool and lesson plan sections also. An all-ages online comic that follows the epic journey of a mother polar bear and her two cubs as they struggle to survive in the warming Arctic of the near future. Nature in your own backyard is one of the most informative nature sites on the web, with facts, pictures, and so much more. Come and learn about the amazing wildlife that surrounds us each day, and the fantastic journey will bring you even closer to nature. The natural world on planet Earth is an amazing and fascinating place. There are so many different species of fascinating animals, birds, reptiles and insects. Planet Earth is really very special! Become a Peckish Junior Birder and learn interesting facts about birds that you can then tell all your friends & family. Polar bear facts, free information and research on the polar bear. Facts about these endangered animals, their life in the North Pole, and arctic circle, and the food sources they hunt and scavenge for. Take an interactive exploration into the animal kingdom. Play puzzles and activities with 1000’s of images including any image you upload or draw. Create new, imaginary animals, called “skye-nimals” to share with your friends and the rest of the world. Smiley Animals showcases photos of happy-go-lucky animals around the planet. Share your own smiley dogs, cats, goats, and more with us, and we’ll post them to our site. Ducks, geese, and swan photography, information, photos, video-clips, wildfowl identification, WWT centres, and much more. Wildlife Archives is a blog about wildlife all around the world, presenting you with beautiful images of the world, without humans. See elephants, tigers, rhinos, and more on a holiday of a lifetime! Wildlife of India offers guided wildlife tours and jeep safaris in the best Indian wildlife parks with adventure travel leaders. World Animal Net is the world’s largest network of animal protection societies with consultative status at the UN, focused on improving the status and welfare of animals with over 3,000 affiliates in more than 100 countries. The goal of 123 Kidz Area is to help children and parents find anything and everything that pertains to their needs. 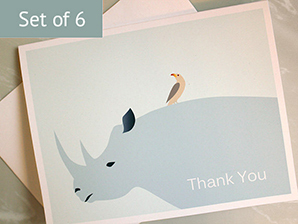 From travel to gifts, fundraising to furniture, zoos to crafts, animals & pets to educational, and everything in between. Best card games for free. No Registration, Play Now latest card games, fun games and all other card games from the biggest game database updated on daily basis. Free coloring pages are easily available at morecoloringpages.com such as printable coloring pages, coloring books, and online coloring activities for young kids in different categories. Offering free to download coloring pictures, our website not only helps you to educate your children, but also save money on those expensive coloring books. Great resource for kids to learn about Connecticut history, government and other facts. CT Kids & Family is your premiere resource for fun events, classes, activities and things to do for kids and the whole family! We are your your one-stop directory of resources for babies, toddlers, little kids, big kids, tweens, teens, and moms and dads too! The Fact Site aims to bring you the best facts and information about a variety of subjects, including animals, food/drink, games, health, history, space and sport. The top 100 sites for students ranked by popularity. Free printable coloring sheets for kids. Groove Kid Nation is an award winning educational children’s music label whose goal is to introduce toddlers to the sound of real musical instruments. Ten percent of CD sales is donated to CARE.org to help fight poverty. LooLeDo.com | Fun Kids Crafts, Science Projects, and More! Fun Kids Crafts, Science Projects, and More. Step-by-step instructions for hundreds of incredibly cool crafts and science projects that can be built from everyday household objects. Upload and share your crafts with the world today. A creative art education resource website including drawing lessons, artist biographies and worksheets, coloring pages and more! An elementary music resource website jam-packed with free printable sheet music, worksheets, composer biographies, music theory arcade games and more! 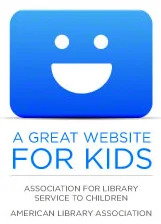 A directory of approved web links for kids. SitesforParents.com is a list of the best parenting Web sites on the Internet. Siites are ranked by popularity. Hundreds of educational web sites rated by popularity. A directory of sites for kids, parents, and teachers that offer fun, games, education, coloring, poetry, stories, cartoons, and more!